During my time on MasterChef, John Torode would often refer to me as ‘the artistic one’ in reference to how I presented my dishes. I remember Gregg commenting on how my ‘Tomato, Bread and Oil’ creation looked like a painting and he wasn’t sure whether to “eat it or hang it on the wall”. This was particularly poignant for me as that dish was part of the ‘family favourites’ episode. What I quickly came to realise was that I am in fact a frustrated artist, but instead of canvas and paint, my tools are food and plates. My great-great grandfather Giuseppe Calì, born in Valletta in 1836, was a prolific artist and founder of the modern school of Maltese painting. Nicknamed ix-xitan tal-pinzell “the devil with the brush” he was a household name within Maltese society. He was commissioned by many private houses who hankered for his work and numerous churches in Malta bore witness to his versatility and mastery. Sadly not many of these churches survived following the devastation of the World Wars and much of his legacy was lost; but his gift was passed down through the generations and the artiste lived on via his children and grandchildren in turn. My mum, also a keen artist, paints from a small home studio in North Devon which she shares with a 3-legged cat and occasionally (if he’s been good) my dad. 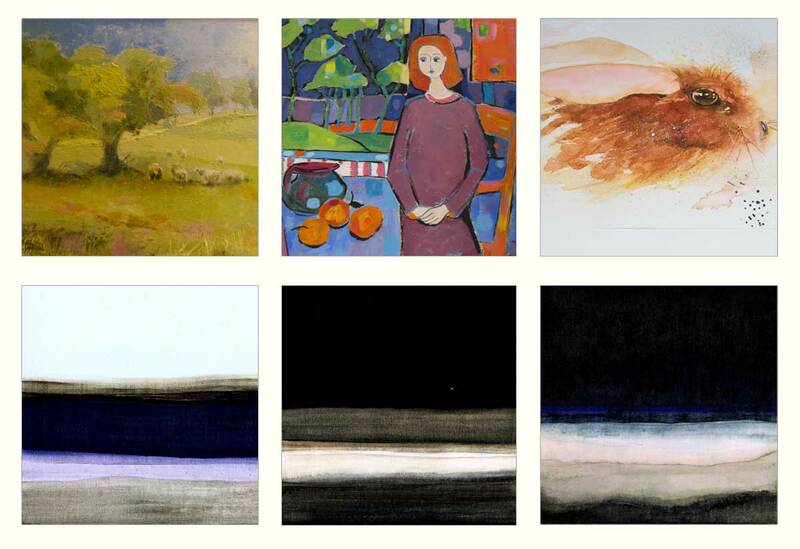 Her style varies depending on the season and is reflected in her many paintings which cover the walls of her home and indeed my own. She draws inspiration from family, friends and the life she sees around her which is exactly the way in which I draw inspiration for my dishes. Although I carry the creative gene, the ‘gift’ for painting was passed on to my middle sister, who resides in Aberdeen. Like me, she is heavily influenced by her surrounding environment; her abstract and interpretive style reflects a more organic approach to painting which is in perfect synergy with the wind swept moors and estuaries that surround her cottage. Clare’s paintings hang alongside my mother’s in my home and it fills me with a great sense of pride whenever I gaze upon them. Growing up within such a creative milieu has fuelled my desire to be inventive in the kitchen. I find I am inspired to bring some of the colours, textures and imagery found in the paintings I grew up with and translate them in to something of equal beauty on a plate; the only difference being you can eat my ‘artwork’ not hang it on the wall!